One of the unusual things you notice when you visit Japan is how many seasonal and limited-time promotions there are in shops and restaurants, even — or especially — in internationally known brands. 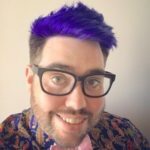 Starbucks offers a variety of month-by-month beverages: think the flavor-changing Unicorn Frappuccino craze, with the springtime sakura cherry blossom versions highly popular. McDonalds have catch-them-if-you-can menu items like the drizzle-your-own McChoco Potato (hot salted french fries with chocolate sauce to squeeze on top), from a recent Halloween. Japan Airlines, too, regularly designs limited-time soft product as part of the passenger experience the airline aims to create: “an inspiring travel experience full of fresh surprises”. Not only does this please domestic market passengers, but it also helps international travellers get their first taste of Japan — often literally — as soon as they board the plane. This season’s options include a special soba noodle set in economy and premium economy, Michelin three-starred chefs cooking seasonal food in first class, plus a new set of business and first seasonal amenity kits from Kyoto fabric manufacturer Tatsumura Textile and Italian fashion house Etro with seasonal variations. 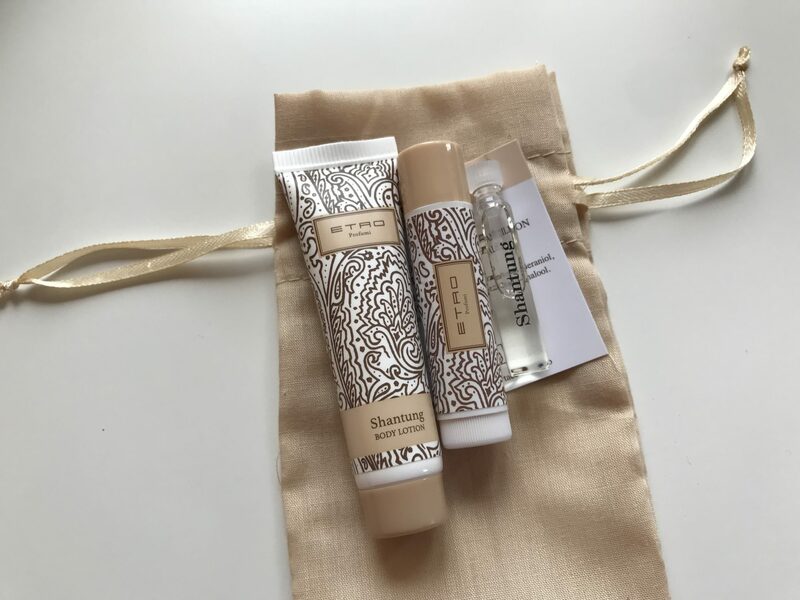 Let’s start with the newest amenity kits. 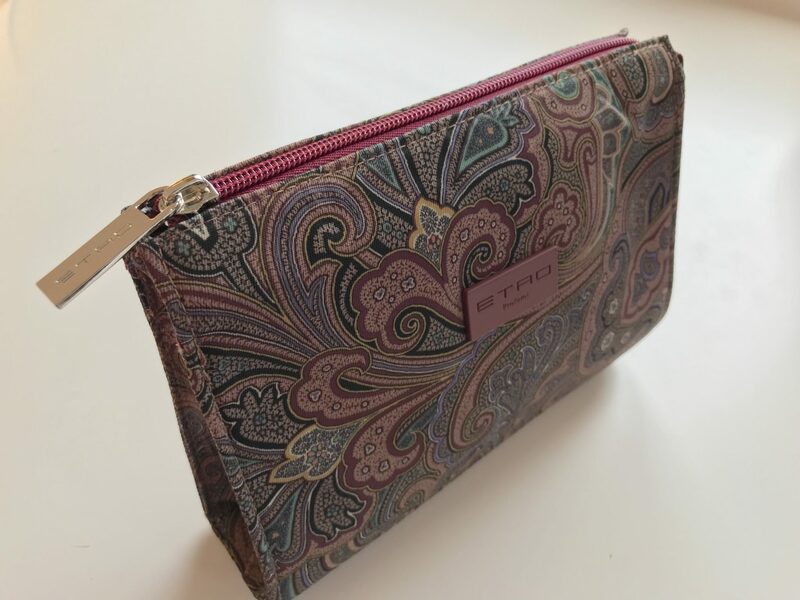 Manufacturer Wessco sent Runway Girl Network the latest pair of Etro goodie bags, which are the first that the fashion house has produced, and which will be limited to flights from Tokyo to New York, Chicago, Los Angeles, San Francisco, London and Paris. Both the men’s and women’s kits are attractive, modern and elegant, featuring a paisley pattern, soft sides and a good re-usability score. In this writer’s view they’re certainly more interesting than the industrial-blah Porsche Design kits previously on offer. 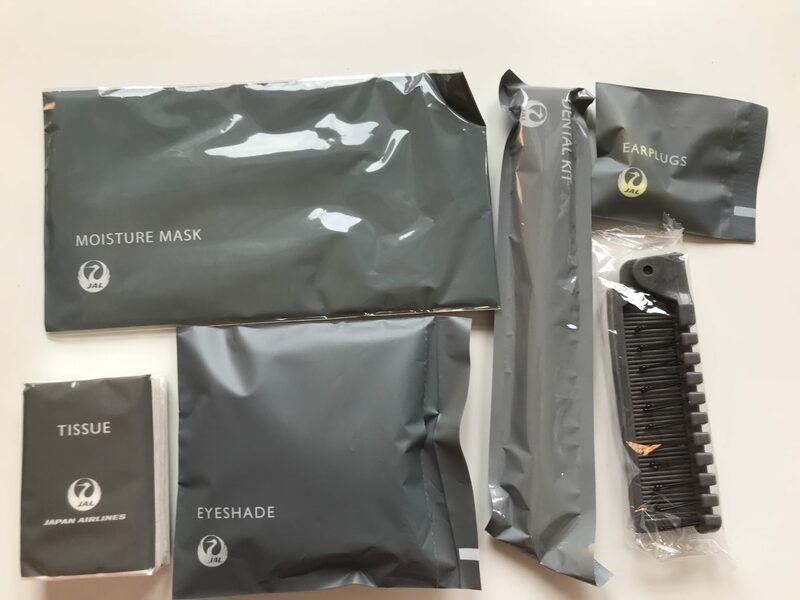 Each kit is packed full of JAL’s efficient and sturdy own-branded items — tissues, eyeshade, dental kit, comb, earplugs that are a little above many airlines’ offerings, to start with. JAL’s standard moisture mask (which really does make a difference in airplane air) is also on offer, as is, for the women’s kit, a warming “gentle steam” eye mask that was simply delightful when relaxing after a busy day of screen time (as it suggests), and sounds even more wonderful when thinking of tired, cabin-air-dried eyes. 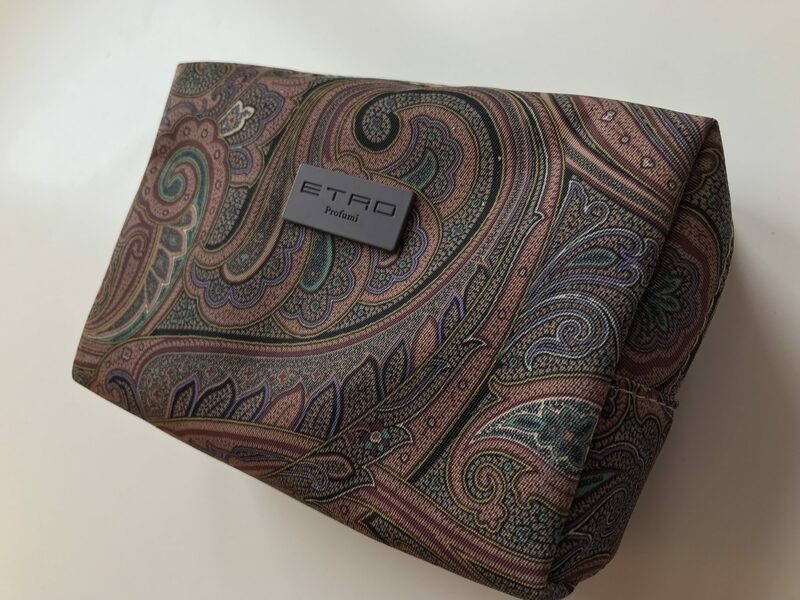 Both kits also offer a little sampler of Etro’s rose-forward unisex scent Shantung, together with Shantung hand lotion and a generous stick of thick, premium-feeling lip balm that’s perfect for the plane. Business class passengers get seasonal kits on a rather wider range of routes, featuring a different colour of kikko pattern every three months, showcasing the tsurukame (crane and tortoise) with the setsugekka (snow moon flower) design. Blue kits launch this (northern hemisphere) spring, with summer red, autumn white and winter black versions planned, JAL says, “to evoke feelings for the cultural characteristics of Japan”. Limited-time items aren’t just for the pointy end, though: JAL has been working with Tsuta, the first Michelin-starred ramen shop in Japan, to create the latest instalment of its “AIR SERIES” limited-time inflight meal choice. 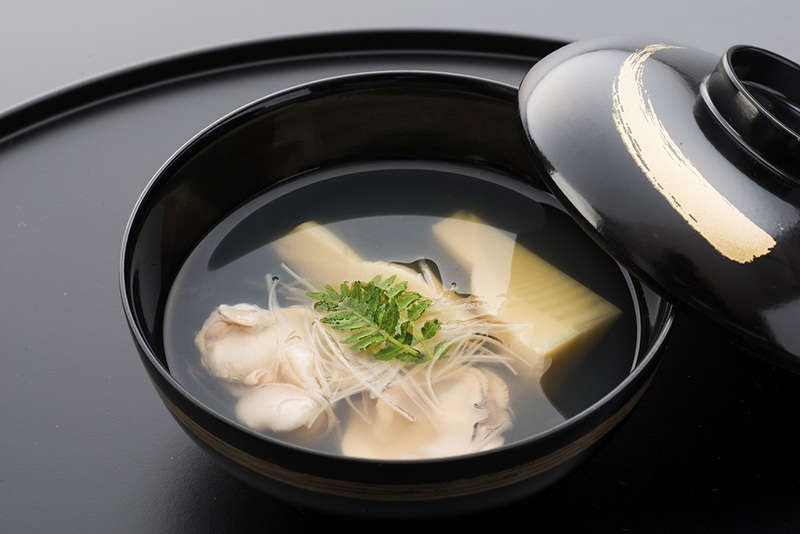 The “AIR Japanese Soba Noodles Tsuta” is a soupless soba noodle recipe developed from one created at Tsuta, featuring the restaurant’s signature truffle-chicken oil, topped with chicken, bamboo shoots, and thin omelette strips. 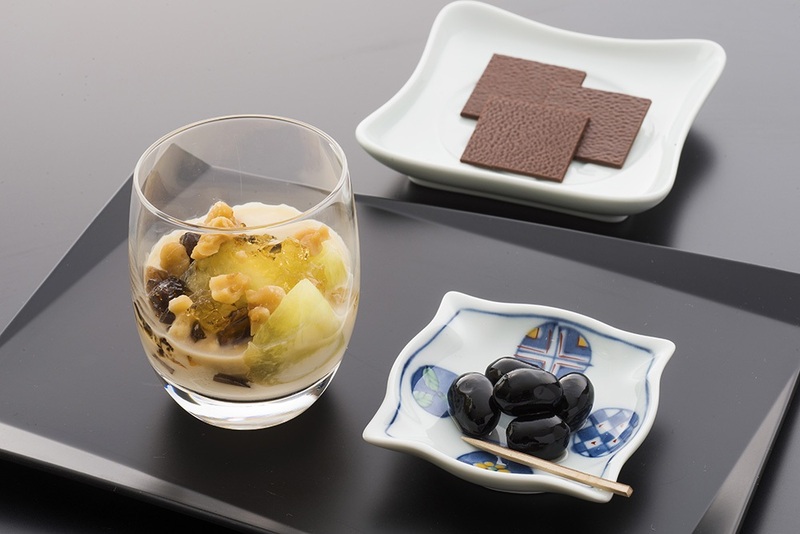 It’s served with a starter of bok choy and cashew nuts, with a white peach jelly dessert — and will only be available in premium and regular economy on JAL from March to May this year, although first class passengers also have a Tsuta-created snack option. 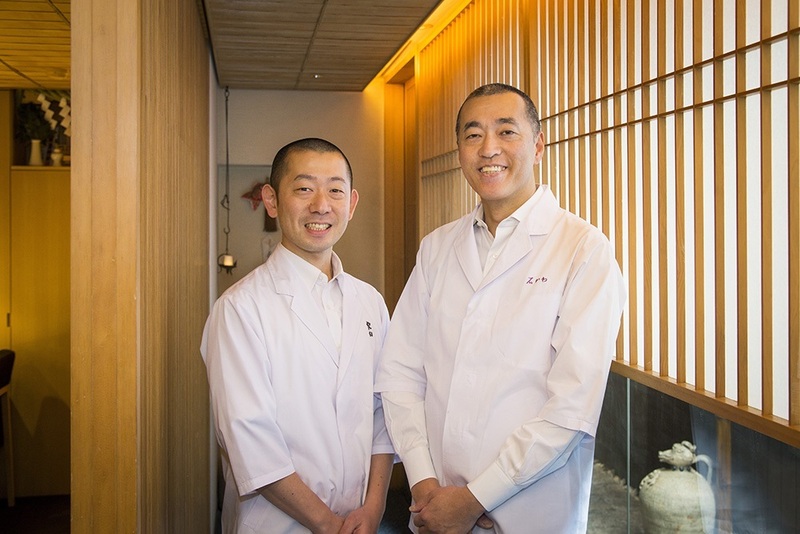 For their main meal, too, first class passengers have other Michelin-starred influences, with JAL bringing on board chefs Hideki Ishikawa from three-star kaiseki restaurant Ishikawa and Kouji Koizumi of Kohaku, also three-starred for its Japanese fusion menu. 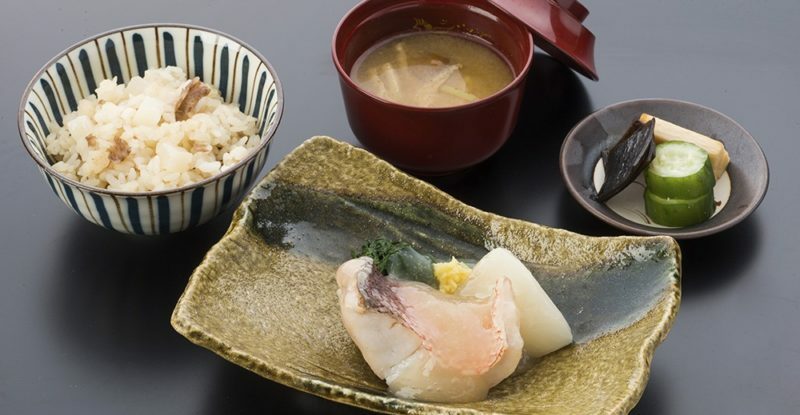 Elements from both restaurants appear in the onboard kaiseki meal, which features a variety of new, seasonal dishes, presented in courses in the traditional order of progression, explained on board in the menu and by JAL’s helpful flight attendants. The menu sounds incredible in both its details and its overall concept: from fiddlehead fern to hairy crab, abalone with sea urchin, steamed tilefish with turnip & garland chrysanthemum, and many other springtime delights. But the Ishikawa-Kohaku meals will be limited to seven routes from Tokyo: Narita to Chicago, New York and LA, plus Haneda to New York, San Francisco, London (on JL43), and Paris. Keeping the supply tight helps not only with the logistical for such meticulously prepared meals, but also helps make each flight feel custom and special. This season, JAL has really outdone itself.